This Sunday, approximately 500 runners will tag the four major summits of the Basque Country (Aratz, Aizkorri, Aketegi, and Aitxuri) covering 42 kilometers with 2,750 meters (9,000 feet) of elevation gain along the way. The race starts at 9 a.m. local time on Sunday, May 28, which is 1 a.m. MDT in the States. As you’d expect, we’ll provide live coverage of the race on Twitter, as well as share video interviews before and after the race. También, para nuestros seguidores en español, estaremos cubriendo la carrera en vivo a través de nuestro Twitter y Facebook. Before continuing, a quick note on why some top Spanish contenders won’t be racing Zegama this year. Quite simply, the athletics federation prohibits runners who will represent Spain at the IAU Trail World Championships in Italy in two weeks from racing after May 25. That means the following runners are unable to race Zegama this weekend: Azara García, Gemma Arenas, Anna Comet, Laia Cañes, Nuria Domínguez, and Montse Martínez for the women and Luis Alberto Hernando, Dani García, Miguel Caballero, Cristofer Clemente, Pablo Villa (although he’s still on the entrants list that we saw), and Efren Segundo for the men. Megan Kimmel (pre-race interview) finished second at last year’s Zegama and, with Yngvild Kaspersen’s absence, is the top returning woman from last year’s race. Last year, Kimmel had yet another busy and successful season, winning the Yading Skyrun, Power of Four 50k, Matterhorn Ultraks, The Rut 28k (interview), and Limone. She appeared to tire a bit at the end of the season with her second place at the Moab Trail Marathon in November and 10th at The North Face Endurance Challenge 50 Mile Championships in December, both races that she won in much quicker times in 2015. Kimmel’s started her 2017 season off with a repeat win at the Yading Skyrun. With her 2016 running season shortened by a knee accident suffered while skiing the previous winter, Emelie Forsberg still managed to win Trofeo Kima and the Kendall Mountain Run last year. Her four incredible years of trail running before her injury show that she’s capable of winning anything she enters. Indeed, Forsberg won Zegama in 2013 to go along with a third at the race in 2012, and a pair of fourth-place finishes in 2014 and 2015. Her social media feeds suggest that she’s just started running in recent weeks, but similar spring-time situations have worked out for her in the past. 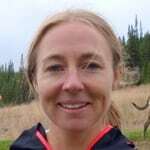 Anna Frost’s trail running started with faster, shorter races but has trended to longer, less frequent racing in recent years. For example, she’s run her first three 100 milers over the past three years with a win at The Bear 100 Mile in 2014 and a pair of wins at Hardrock the past two years (interviews: 2015 & 2016). Still, last year Frost won the Squamish 50k and was third at the Ultra Skymarathon Madeira. While she’s jumped in a few races so far this year, the results aren’t good indicators of her possible fitness. If I knew any more about Ruth Croft’s ability to descend over the sort of terrain she’ll see in the second half of Zegama, I could easily move her up into the above group. Over the past two years, she’s won CCC (2015), been fourth (2015) and third (2016) at The North Face 50 Mile Championships, third at Transvulcania (2016), second at Tararwera (2015), and second at Trofeo Kima (2016). Maite Maiora (pre-race interview) is another Basque runner with plenty of experience toward the front of the Zegama field. She was eighth in 2011, fifth in 2013, third in 2014, and fifth last year. (She missed the 2015 race with a stress fracture before finishing third at the IAU Trail World Championships two weeks later.) Last year, she also won the Skyrace at the Skyrunning World Championships, and was fourth at the Dolomites Skyrace. 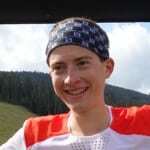 It will be fun to see how American Addie Bracy (pre-race interview) fairs on the technical trails at Zegama. This former track runner (3,000m steeplechase and 10,000m) has been stellar since jumping into trail racing this past year. She kicked off her trail running career by winning the US Mountain Running Championships last July, before placing second at the Pikes Peak Ascent in July, and winning the Moab Trail Marathon ahead of Megan Kimmel in November. 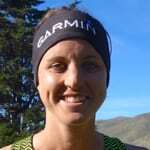 This February, she was second at the Fourmidable 50k, the USATF 50k Trail National Championships. Let’s call Germany’s Michelle Maier one of the dark horses in the race. Last summer, she beat a number of top women to win Sierre-Zinal as a 25 year old. Last year, she also took second at the Jungfrau Marathon. A few years earlier, she was 20th at the 2014 Pikes Peak Ascent. France’s Celia Chiron is another female speedster that I personally know little about. That said, last year she was third at both Matterhorn Ultraks and the Dolomites Skyrace. In 2015, she won the OCC, the 52k UTMB sister race. I know little about Spain’s Laura Sola except that she went all in with skyrunning last year. She was sixth at Zegama, sixth at the Livigno Skymarathon, eighth at Skyrun Comapedrosa, and 11th in the Skyrace at the Skyrunning World Championships. She finished 12th overall in the SWS Sky Series. There are likely few top-level women who race more frequently than Ragna Debats. If you count snowshoe racing, she’s raced no fewer than 10 times already this year. Those results include a snowshoe world championship, a win at the Ultra Fiord 70k, a second place at the Yading Skyrun, and a fourth at Transvulcania just a few weekends ago. Debats has run Zegama at least twice, finishing 10th in 2011 and ninth in 2015. It’s been a number of years since Oihana Azkorbebeitia has been at the top of her game at Zegama. 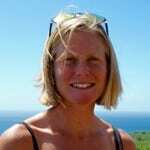 Back in 2009, she was fifth at Zegama before improving to third a year later. More recently, she was 16th at Zegama in 2014 and 10th in 2016. Looking at the loads of small races she’s run so far this year, she’s won most and been runner up at a few others, so maybe this is the year she moves back up in the Zegama rankings. Oihana Kortazar — The 2011 and 2012 Zegama champ, who also finished third the past two years, won’t be racing Zegama this year. For the first time in many years, many-time Zegama champ Kilian Jornet won’t be running the race this year, as he’s just summited Mount Everest and will still be in the Himalaya come race day. That means that Switzerland’s Marc Lauenstein (pre-race interview) is the top returning runner from last year, when he was one of only two runners to break four hours, just ahead of Luis Alberto Hernando and Manuel Merillas. In case you don’t know him, Lauenstein won Sierre-Zinal in 2013, the Pikes Peak Marathon in 2014, and Mont Blanc Marathon in 2015. Last year, he won the Three Peaks Race, Giir di Mont, and Matterhorn Ultraks. There’s no reason to think he couldn’t win Zegama this year. We’ve learned that Switzerland’s Rémi Bonnet won’t be racing. [Updated May 25] Swiss youngster Rémi Bonnet will certainly add some excitement at the front of the field. In 2015, he was the Skyrunner World Series VK champion, while also winning The Rut 25k, Lantau 2 Peaks, and Limone Skyrace that were all part of the SWS Sky series, which he likely would have won had he run one of that category’s Continental races. He didn’t run nearly as well in the two SWS VKs he entered last year and dropped out of Zegama due to the bad weather. Just two weekends ago, he won the half marathon at Transvulcania. While it’s unlikely that Marco De Gasperi will dominate the field from the start, he has the strength and experience that might just see him come away with the win. When he last ran Zegama in 2015, he finished fifth in 3:59:48. A year before he was second to Jornet in a smoking-fast 3:50:38, just 19 seconds ahead of Luis Alberto Hernando, in his Zegama debut. Last year, De Gasperi finished second at both the WMRA Long Distance Championships and Trofeo Kima. With his victory in Skyrunner World Series Extreme Series last year, Jonathan Albon (pre-race interview) certainly showed he’s one to watch. This Brit living in Norway won the Glen Coe Skyline 55k, was second at the Tromsø Skyrace, and ran seventh at Trofeo Kima to win the series title. A year earlier, he won the Tromsø Skyrace. Away from the trails, he’s been the OCR world champ the past three years. Just as with Jonathan above, it’s always harder for me to preview someone I’ve not seen race. So it is with Norway’s Stian Angermund-Vik (pre-race interview) who won the Glen Coe Skyline 28k and Skyrunning World Championships Skyrace last year and the Marathon du Mont Blanc 23k the year before. He’s also been fourth at the Tromsø Skyrace in 2014, eighth at Sierre-Zinal in 2015, and seventh at Limone in 2016. 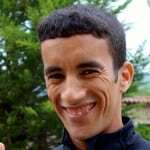 Fresh off his hard-charging third-place finish at the Transvulcania Ultramarathon, Zaid Ait Malek will once again be racing Zegama. His highest placing at the race was back in 2013 when he was fourth in 3:59:33. A year later he improved his time to 3:55:06, but finished fifth. He was eighth in 4:02 in 2015, before a rough 4:47 finish last year. 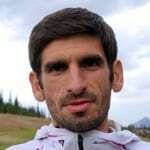 Last year’s sixth-place finisher, Ismail Razga, is the second highest returnee from last year’s Zegama. Last year, he was also third at the Skyrunner World Championships in the Sky division as well as first at the Ultra Pirineu Marathon and second at Spain’s Carrera Alto Sil. The year before he was third at Giir di Mont. We personally don’t know much about him, but it appears that a few years ago he moved from racing on the track to the trails with a 3,000m PR of 8:29 and, if I’m translating correctly a 3,000m steeplechase PR of 9:24. Still a relative youngster, this Moroccan moved to Spain at age 17. Many-time Zegama finisher Aritz Egea failed to finish last year’s race in the brutal weather. Aritz is known for going out hard at Zegama, so don’t be surprised to see him punching above his weight in the early going. That said, also don’t be surprised to see this Basque runner holding onto a top position. He was fourth at the race in 2015 in 3:59:27. He was 10th the two years prior with a 4:00:54 in 2014 and 4:17:24 in 2013. Based on his 3:52 third place at Zegama in 2015, Pere Rullán has very high potential at this year’s race. The thing is, it appears that his run at Zegama in 2015 was far and away Rullan’s best trail result to date. Other results at notable races include fifth at The Rut 25k in 2015 and the Yading Skyrace in 2016, 12th at Limone in 2014, and 14th at Limone in 2015. Last year, Bulgaria’s Kiril Nikolov showed he’s strong in fast, mountainous trail races with a second at The Rut 28k and third at Limone. In 2016, he was also eighth at Skyrun Comapedrosa and 13th at the Dolomites Skyrace. Frenchman Adrien Michaud was eighth at Zegama last year, as well as finishing 10th at the Dolomites Skyrace and 11th at Limone Extreme. Earlier this year, he was sixth at the Trail du Ventoux, just ahead of the likes of Sylvain Court and Xavier Thévenard. Look out for Spain’s Hassan Ait Chaou near the back of the top 10 or in the teens. He was eighth at Zegama 2013, 19th in 2014, and 10th in 2015, before dropping out due to weather in 2016. Last year, his highlight was likely winning The Rut 28k, while he also finished fourth at the Matterhorn Ultraks and seventh at the Livigno Skymarathon. Sweden’s André Jonsson was 10th at Zegama last year, in what I believe was his debut at the race. Also included in his busy 2016 were a fourth at Ultra Skymarathon Maradeira, sixth at the Livigno Skymarathon, and 15th at Trofeo Kima, among many others. I’m glad I randomly looked up Nuno Silva while skimming this year’s Zegama entrants list! This Portuguese runner third and fifth the past two runnings of Ultra Skymarathon Madeira, second at last year’s Madeira Island Ultra-Trail, and 12th at UTMB in 2014. While I have no idea about his ability to run quickly over the sort of technical terrain found at Zegama, Japan’s Ruy Ueda has put up results that suggest he’s strong enough to compete this Sunday. For example, he won Japan’s highly competitive Hasetsune Cup in 2014, won the Gorge Waterfalls 100k in 2016, and was second at CCC last year. Last year, he was also 12th at the Skyrunning World Championships Skyrace, suggesting he might not have the high-speed gear he’d need for a top-10 finish at Zegama. Spain’s Eugeni Gil had quite a strong 2016. He was sixth at the Skyrunning World Championships Skyrace and fifth at Matterhorn Ultraks as well as ninth at both The Rut 28k and Skyrace Comapedrosa. Who do you think will win the women’s and men’s races at this year’s Zegama? Should we have our eyes on anyone not on our list during the race? If you’ve ever attended Zegama, what did you like most about the event? If you’ve never run Zegama, but want to… what attracts you to the race? Al día de hoy, me siento cómodo diciendo que no hay otra carrera en el mundo como la Zegama-Aizkorri Mendi Maratoia. Será por la multitud de espectadores descontrolados, el circuito brutal, el clima aún más brutal, y el siempre-sorprendente lote de corredores. Zegama es Zegama, y es un tesoro así como tal. Este domingo, aproximadamente 500 corredores coronaran las cuatro mayores cumbres del País Vasco (Aratz, Aizkorri, Aketegi y Aitxuri), cubriendo 42 kilómetros con 2.750 metros de desnivel positivo. La carrera comienza a las 9 AM hora local el Domingo 28 de Mayo. Estaremos cubriendo la carrera en vivo a través de nuestro Twitter y Facebook. Antes de continuar, una breve nota sobre por qué algunos de los candidatos principales Españoles no estarán en Zegama este año. Simple, la federación atlética prohibe a los corredores que representarán a España en el Campeonato del Mundo de la IAU en Italia en dos semanas competir después del 25 de mayo. Eso significa que los siguientes corredores no pueden competir en Zegama este fin de semana: Azara García, Gemma Arenas, Anna Comet, Laia Cañes, Nuria Domínguez y Montse Martínez entre las mujeres y Luis Alberto Hernando, Dani García, Miguel Caballero, Cristofer Clemente, Pablo Villa (aunque aún figura en la lista de inscriptos que vimos) y Efren Segundo entre los varones. Megan Kimmel terminó segunda en la Zegama del año pasado, y con la ausencia de Yngvild Kaspersen, es la mujer mejor colocada el año pasado volviendo a la carrera. La temporada pasada fue cargada pero exitosa para Kimmel, con triunfos en la Yading Skyrun, Power of Four 50k, Matterhorn Ultraks, The Rut 28k y Limone. Se la vio un poco cansada en el final del año con un segundo lugar en la Moab Trail Marathon en Noviembre y un 10º en el The North Face Endurance Challenge 50 Mile Championships de Diciembre, ambas carreras en las que había triunfado en 2015. Kimmel comenzó la temporada 2017 repitiendo triunfo en la Yading Skyrun. Con su temporada 2016 recortada debido a un accidente esquiando que derivó en una lesión fuerte en la rodilla, Emelie Forsberg logró igualmente triunfar en el Trofeo Kima y la Kendall Mountain Run el año pasado. Sus cuatro increíbles años de Trail Running previos a la lesión mostraron que es capaz de ganar cualquier cosa a la que se apunte. De hecho, Forsberg ganó Zegama en el 2013 para mejorar su tercer puesto del 2012, y dos cuartos puestos en 2014 y 2015. Sus redes sociales indican que ha comenzado a correr en las últimas semanas, pero esta situación primaveral ha sido exitosa en otras ocasiones. El trail running para Anna Frost comenzó con carreras rápidas y cortas, y ha tendido a alargar distancias y con menos competencias en los últimos años. Por ejemplo, compitió en sus tres primeras carreras de 100 millas en los últimos tres años con triunfo en The Bear 100 en el 2014, y un par de triunfos en Hardrock en los últimos dos años. Aún así, Frost ganó el año pasado la Squamish 50k y fue tercera en la Ultra Skymarathon Madeira. Aunque participó en algunas carreras en lo que va del año, los resultados no son buenos indicadores de su posible estado físico. Si supiera más sobre la habilidad de Ruth Croft para bajar en el tipo de terreno que verá en la segunda mitad de Zegama, fácilmente la subiría al grupo superior. En los últimos dos años, ha ganado la CCC (2015), fue cuarta (2015) y tercera (2016) en el TNF Endurance Challenge San Francisco, tercera en Transvulcania (2016), segunda en Tarawera (2015) y segunda en el Trofeo Kima (2016). Maite Maiora es otra corredora Vasca con mucha experiencia en el lote de putna de Zegama. Fue octava en 2011, quinta en 2013, tercera en 2014, y quinta el año pasado (No compitió en 2015 debido a una fractura por estrés, dos semanas antes de ser tercera en el Campeonato del Mundo de la IAU). El año pasado, triunfó en la modalidad Skyrace en los Campeonatos del Mundo de Skyrunning, y fue cuarta en la Dolomites Skyrace. Será divertido ver como la Americana Addie Bracy se maneja en los senderos técnicos de Zegama. Ex corredora de pista (3000 con obstáculos y 10.000 metros) ha sido brillante desde que saltó a los senderos el año pasado. Comenzó su carrera con un triunfo en el US Mountain Running Championships en Julio pasado, antes de ser segunda en la Pikes Peak Ascent en Julio, y de triunfar en la Moab Trail Marathon delante de Meghan Kimmel en Noviembre. En febrero pasado, fue segunda en la Fourmidable 50k, el Campeonato Estadounidense de 50k de la USATF. Llamaremos a la Alemana Michelle Maier una de las tapadas de la carrera. El verano pasado, triunfo sobre varias de las mejores mujeres en Sierre-Zinal con 25 años. El año pasado, también fue segunda en la Jungfrau Marathon. Hace unos años ya, fue 20º en la Pikes Peak Ascent del 2014. Desde Francia, Celia Chiron es otra de las veloces que, personalmente, no conozco mucho. Dicho eso, el año pasado fue tercera tanto en la Matterhorn Ultraks como en la Dolomites Skyrace. En 2015, triunfo en la OCC, la hermana de 52k de la UTMB. Se poco sobre la Española Laura Sola, sólo que fue por todo en Skyrunning el año pasado. Fue sexta en Zegama, Sexta en la Livigno Skymarathon, octava en la Skyrun Comapedrosa, y 11º en la modalidad Skyrace de los Campeonatos del Mundo de Skyrunning. Fue 12º en la general de la SWS Sky Series. No hay muchas mujeres de alto nivel que compitan tan frecuentemente como Ragna Debats. Si se toman en cuenta las carreras de raquetas de nieve, no ha corrido menos de 10 veces este año. Entre los resultados, se incluyen un Campeonato del Mundo de Raquetas de Nieve, un triunfo en la Ultra Fiord 70k, segundo lugar en la Yading Skyrun, y un cuarto puesta en Transvulcania hace un par de semanas. Debats ha corrido Zegama al menos dos veces, terminando 10º en 2011 y novena en 2015. Ya van varios años en los que Oihana Azkorbebeitia ha estado en los puestos de vanguardia en Zegama. En 2009, fue quinta y un año más tarde, tercera. Recientemente, fue 16º en Zegama 2014 y 10º en 2016. Viendo la cantidad de carreras cortas que ha hecho este año, ha ganado la mayoría o fue segunda en otras, así que quizás este año suba algunos escalones en la clasificación. Aitziber Ibarbia (España) – 11º Zegama 2012, 13º Zegama 2013, 2014 y 2015, 2º Livingo Skymarathon 2016, 3º Giir di Mont 2013. 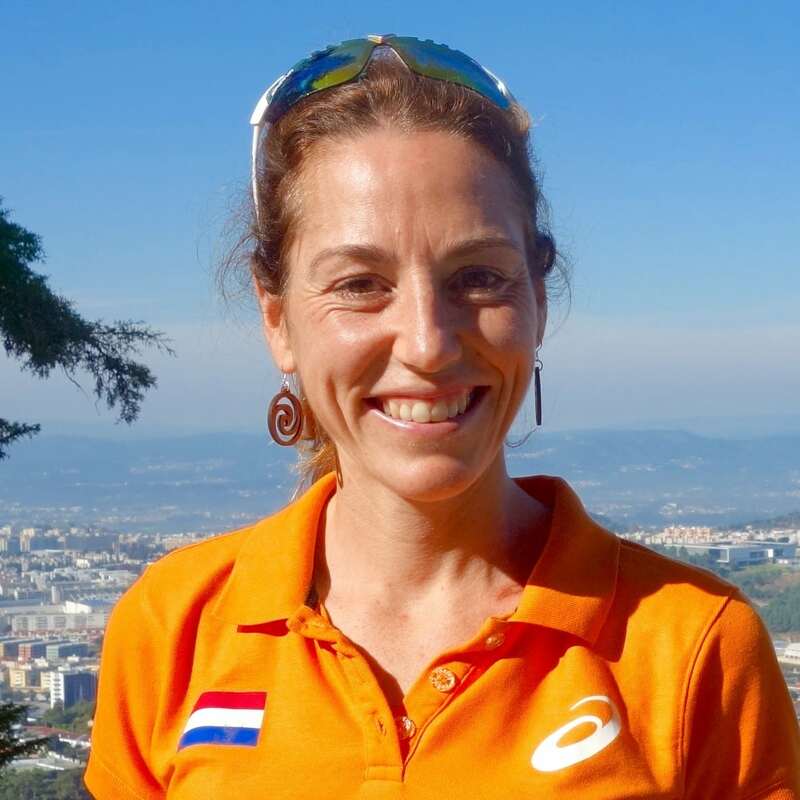 Susan Van Dujil (Holanda) – 7º Eiger Ultra-Trail 101 2014, 7º Transgrancanaria Advanced 2015, 49º IAU Trail World Championships 2015, 59º IAU Trail World Championships 2016. Oihana Kortazar – La ganadora de Zegama 2011 y 2012, quién también termino tercera en los últimos dos años, no competirá en Zegama este año. Por primera vez en muchos años, el múltiple campeón de Zegama Kilian Jornet no competirá en la prueba, al haber hecho cumbre en el Monte Everest la semana pasada y aún encontrarse en el Himalaya para el día de la carrera. Eso significa que el Suizo Marc Lauenstein es el mejor clasificado del año pasado que vuelve a la carrera, siendo también uno de los dos que bajaron las cuatro horas, delante de Luis Alberto Hernando y Manuel Merillas. En caso de que no lo conozcan, Lauenstein ganó Sierre-Zinal en 2013, la Pikes Peak Marathon en 2014, y la Mont Blanc Marathon en 2015. El año pasado, ganó la Three Peaks Race, Giir di Mont y la Matterhorn Ultraks. No hay razón para pensar que no puede ganar Zegama este año. Nos enteramos que el Suizo Rémi Bonnet no correrá [Actualizado al 25 de Mayo] El joven Suizo Rémi Bonnet le pondrá un poco de pimienta al lote de punta. En 2015, fue el Campeón de la Skyrunner World Series en la modalidad Kilómetro Vertical, como también ganador de The Rut 25k, Lantau 2 Peaks y Limone Skyrace, todas parte de la SWS Sky Series, que hubiese ganado si hubiese corrido una de las pruebas Continentales de la modalidad. El año pasado, no corrió bien en los dos KVs de la SWS y se retiró de Zegama por el mal clima. Hace dos semanas, ganó la media maratón en Transvulcania. Probablemente, Marco De Gasperi no domine el lote desde el principio, pero tiene la fuerza y la experiencia para acabar triunfando. La última vez que corrió Zegama, en 2015, terminó quinto en 3:59:48. Un año antes, fue segundo detrás de Jornet en un rapidísimo tiempo de 3:50:38, sólo 19 segundos delante de Luis Alberto Hernando, en su debut en Zegama. El año pasado, De Gasperi fue segundo tanto en los campeonatos del mundo de larga distancia de la WMRA como en el Trofeo Kima. Con su triunfo en la Skyrunner World Series en la modalidad Extreme el año pasado, Jonathan Albon ciertamente ha demostrado que hay que tenerlo en cuenta. El británico residente en Noruega triunfo en la Glen Coe Skyline 55k, fue segundo en la Tromsø Skyrace, y fue séptimo en el Trofeo Kima, lo cual le dio el triunfo en la serie. Un año antes, ganó la Tromsø Skyrace. Fuera de los senderos, fue Campeón del Mundo de carreras con obstáculos los últimos tres años. Tal como con Jonathan, siempre es difícil para mi escribir sobre alguien a quién no he visto correr. Así es con el Noruego Stian Angermund-Vik, que ha ganado la Glen Coe Skyline 28k y la Skyrace en los Campeonatos del Mundo de Skyrunning el año pasado, como también los 23k de la Marathon du Mont Blanc el año anterior. Fue cuarto en la Tromsø Skyrace 2014, octavo en la Sierre-Zinal 2015, séptimo en Limone 2016. Fresco de su gran esfuerzo que le llevó al tercer lugar en Transvulcania, Zaid Ait Malek estará una vez más en Zegama. Su mejor posición en la carrera fue en 2013, cuando acabo cuarto en 3:59:33. Un año después, mejoró su tiempo a 3:55:06 pero termino quinto. Fue octavo con 4:02 en 2015, antes de un duró 2016 con 4:47. El sexto colocado del año pasado, Ismail Razga, es el segundo mejor clasificado del año pasado que retorna a Zegama. El año pasado, fue tercero en el Campeonato del Mundo de Skyrunning en la modalidad Sky, como también fue primero en la Marató Pirineu y segundo en la Carrera Alto Sil. El año anterior, fue tercero en Giir di Mont. Personalmente, no sabemos mucho sobre él, pero parece que hace unos años se paso de correr en la pista a los senderos con un PR de 8:29 para los 3000 planos, y si la traducción no me falla, un PR en 3000 con obstáculos de 9:24. Aún joven, el Marroquí se mudó a España a los 17 años. El múltiple finisher de Zegama, Aritz Egea, no pudo completar el año pasado debido al clima brutal. Aritz es conocido por salir fuerte en Zegama, así que, no se sorprendan si lo ven apretando fuerte en los primeros kilómetros. Dicho eso, tampoco se sorprendan si ven a este corredor Vasco aferrado a las posiciones de vanguardia. Fue cuarto en 2015 con 3:59:27. Fue 10º en 4:00:54 en el 2014 y con 4:17:24 en el 2013. Basándonos en su tercer lugar en Zegama del 2015 con 3:52, Pere Rullán tiene mucho potencial este año. La cuestión es que, parece que su resultado en Zegama 2015 fue el mejor de su carrera hasta ahora. Otros resultados destacables incluyen un quinto lugar en The Rut 25k en 2015 y en la Yading Skyrace en 2016, 12º en Limone 2014, y 14º en Limone 2015. El año pasado, el búlgaro Kiril Nikolov demostró que es fuerte en carreras montañeras y rápidas, con un segundo lugar en The Rut 28k y un tercer lugar en Limone. En el 2016, también fue octavo en la Skyrun Comapedrosa y 13º en la Dolomites Skyrace. El Francés Adrien Michau fue octavo en Zegama el año pasado, como también 10º en la Dolomites Skyrace y 11º en la Limone Extreme. Al principio de este año, fue sexto en el Trail du Ventoux, delante de Sylvain Court y Xavier Thévenard. Estén atentos al español Hassan Ait Chaou en el top 10. Fue octavo en Zegama 2013, 19º en 2014, y 10º en 2015, previo a retirarse en la edición 2016 por el mal clima. El año pasado, su resultado destacado fue el triunfo en The Rut 28k, también su cuarto puesto en la Matterhorn Ultraks, y el séptimo puesto en la Livigno Skymarathon. El Sueco André Jonsson fue 10º en Zegama el año pasado, en el que creo, fue su debut en la prueba. En su cargado 2016, otros resultados que destacan son un cuarto puesto en la Ultra Skymarathon Madeira, sexto en la Livigno Skymarathon, y 15º en el Trofeo Kima, entre otros. Me alegra haber buscado aleatoriamente los resultados de Nuno Silva mientras investigaba la lista de inscriptos de Zegama de este año. Este corredor portugués fue tercero y quinto en las últimas dos ediciones de la Ultra Skymarathon Madeira, segundo en la Madeira Island Ultra-Trail y 12º en la UTMB del 2014. No tengo idea sobre sus habilidades en este tipo de terrenos técnicos que se pueden encontrar en Zegama, pero el Japones Ruy Ueda tiene resultados que sugieren que es lo suficientemente fuerte como para competir adelante el domingo. Por ejemplo, ganó la super-competitiva Hasetsune Cup de Japón en 2014, gano la Gorge Waterfalls 100k en 2016, y fue segundo en la CCC del 2016. El año pasado, también, fue 12º en la modalidad Sky de los Campeonatos del Mundo de Skyrunning, sugiriendo que quizás no tiene la última marcha fuerte que se requiere para un top 10 en Zegama. Eugeni Gil de España tuvo un 2016 muy fuerte. Fue sexto en la modalidad Skyrace de los Campeonatos del Mundo de Skyrunning y quinto en la Matterhorn Ultraks, como también noveno tanto en The Rut 28k y en la Skyrace Comapedrosa. 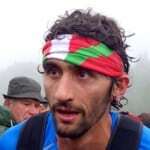 Alfredo Gil (España) – Zegama: 2010 – 43º, 2011 – 41º, 2012 – 19º, 2013 – 7º, 2014 – 13º, 2015 – 43º. Francesc Solé (España) – 34º Zegama 2014, 64º Zegama 2015, 7º UTMB 2015, 2º y 6º Ultra Pirineu 2014 y 2015, 1º Ronda del Cims 2014 y 2015. Zach Miller’s social media feeds suggest he’s headed for Zegama. No mention of him here or on the official participant list. Is he just spectating? I believe he’s participating in the vertical kilometer, but I’ve only heard that second-hand. You forgot the french man Germain Grangier ! Super strong field as last several years, good to see Emelie and Anna’s battle and Marco’s back! Based on the skyrunner world series website, Alexis Sévennec is racing. Thanks for the heads up, David!